Even ancient philosophers knew the Universe must have been crafted by an intelligent mind. [audio:http://www.truthrevolution.tv/show/TS-0316.mp3]No Flash Support? Use this Audio Player! Dave: One of the things we find interesting is that humans have always believed in a God. Jeff: Even philosophers like Aristotle and Plato, who were ready to reject anything that wasn’t logical, believed. 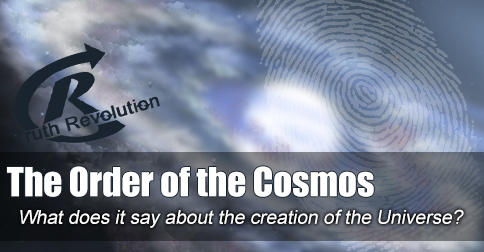 Dave: Author William Lane Craig, has said, “The ancient Greek philosophers were impressed with the order that pervades the cosmos, and many of them ascribed that order to the work of an intelligent mind who fashioned the universe…. Jeff: …should be a sign to us that some kind of ordered mind created the rules that govern the Universe. It was not a random and chaotic accident. Dave: Like it says in Romans 1:20.